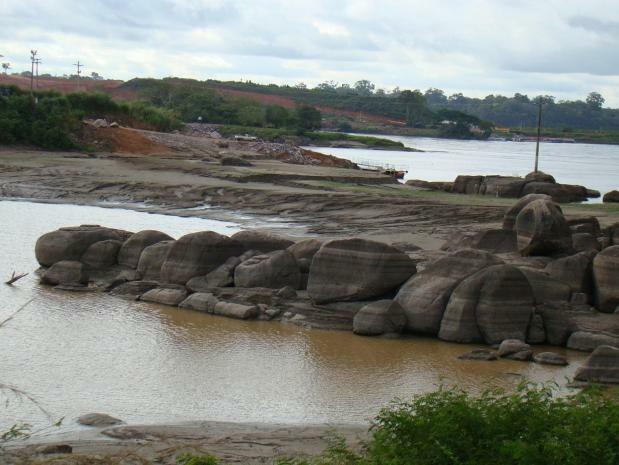 ASUNCION, Paraguay (AP) — It’s been nearly five months since the presidents of Brazil and Paraguay agreed on a breakthrough deal to triple Paraguay’s income from the world’s second-largest hydroelectric dam, but the money won’t be flowing anytime soon. The treaty would increase Paraguay’s income from energy generated by the Itaipu dam on the shared Parana River to $360 million, money that Paraguay’s President Fernando Lugo wants to spend on agrarian reform to benefit 300,000 landless peasant families. 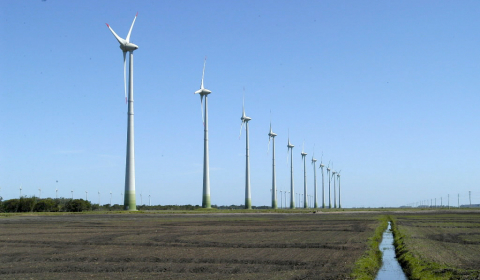 It also calls for Brazil to invest in high-capacity power lines across Paraguay, creating an energy grid that could help one of South America’s poorest countries reshape its agricultural economy. The treaty, signed by Lugo and Luiz Inacio Lula Da Silva on July 25, was quickly approved by Paraguay’s congress, but lawmakers in Brazil have yet to move the plan out of the first of four committees due to consider it — partly because what Brazil mostly gets from the deal is good relations with its poorer neighbor. ”It is controversial. It’s not a simple matter, because it carries more benefits for Paraguay than Brazil,” Brazilian Rep. Severiano Alves, a member of the lower house’s foreign relations committee, told The Associated Press. He said both houses of Congress would probably vote on it in the first half of 2010. Carlos Mateo Balmelli, Itaipu’s Paraguayan director, has lobbied for the agreement, but Alves says Brazil should not be pressured. ”They didn’t pay anything to build the dam — they just provided territory and water from the river. 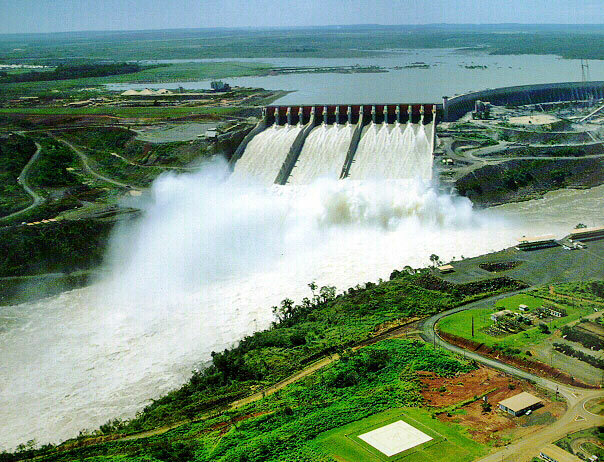 Brazil was the one that assumed the cost of financing Itaipu,” Alves said. Itaipu’s 20 huge turbines generate electricity divided equally between the neighbors, but Paraguay’s much smaller population and economy consumes the energy of only one turbine. The current treaty forces Paraguay to sell its excess capacity to Brazil until 2023, without the possibility of selling the energy elsewhere, at far less than market prices. isolation, a legacy of Alfredo Stroessners 1954-1989 dictatorship. The existing treaty was signed in 1973, before the dam was built. Both countries took on loans to build it — debt that now totals $17 billion. But Paraguay doesn’t recognize $8 billion of it because it considers the debt to be illegally obtained by corrupt officials of the former government. Associated Press Writer Marco Sibaja in Brasilia, Brazil contribued to this story. Everything about the shipyard here is colossal — the 4,000-man workforce, the billions sunk into it in capital costs, the half-finished 10-story-high production platforms. But then, so is the challenge facing Brazil’s state-controlled energy company, Petrobras: developing a group of newly discovered deep-sea oil fields that energy analysts say will catapult this country into the ranks of the world’s petro-powers. The oil pools are 200 miles out in the Atlantic and more than four miles down, under freezing seas, rock and a heavy cap of salt. Petrobras, which until recently was little known outside oil circles, has launched a five-year, $174 billion project to provide platforms, rigs, support vessels and drilling systems to develop tens of billions of barrels of oil. Energy officials here project that Brazil — still an oil importer five years ago — will in the next decade have one of the world’s biggest oil reserves. Petrobras estimates that production in Brazil could reach 3.9 million barrels by 2020, up from more than 2 million a day now. Proven oil reserves would rise from 14.4 billion barrels to more than 30 billion barrels, according to government estimates, putting Brazil in the same league as such major oil exporters as Qatar, Canada, Kazakhstan and Nigeria. The new discoveries in Brazil’s offshore “pre-salt” region do not mean that the country will become a major exporter of crude, according to Gabrielli. He noted that Brazil’s economy, which is the world’s eighth-largest and is steadily growing, is expected to consume much of Petrobras’s projected production. But, he added, as the country meets its own needs, it will also develop for export refined products such as gasoline, diesel and biofuels. In an era of drum-tight supply, the discoveries off Brazil’s coast and Petrobras’s growing stature are changing the world’s oil balance, because few regions outside the OPEC countries are expected to generate significant growth in crude production, said Michelle Billig Patron, senior director of political risk for the New York-based Pira Energy Group. “There is really only Canada and Brazil when you’re talking about a million barrels a day more in growth over the next 10 years,” Patron said. The engine of that growth is a multinational that, for much of its 56-year history, was little more than a trading company. It pumped a few thousand barrels a day almost as a side note to its real function, overseeing oil imports. Then in 1974 — a time when oil shocks had alarmed Brazilian officials — came a major discovery: the offshore Campos Basin, east of Rio. In its drive to produce, Petrobras became a leader in offshore production. The Rio-based company is now responsible for more than a fifth of the world’s deep-sea operations, more than any other company, Gabrielli said. 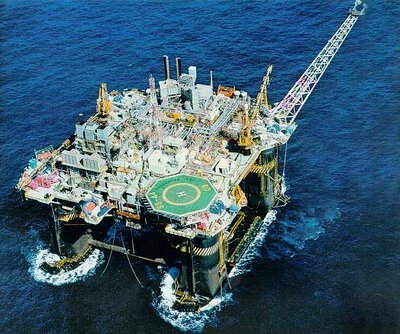 It operates in 26 countries and drills off the African coast and in the Gulf of Mexico. With a market capitalization of more than $220 billion, Petrobras is one of the world’s 10 biggest companies. Over the past two years, it has been the most frequently traded foreign company on the New York Stock Exchange, trade data show. Among investors bullish on Petrobras is George Soros, who last year made the oil company the largest single holding in his investment fund, according to Bloomberg. Still, the company remains firmly under the control of the state, with President Luiz Inácio Lula da Silva calling it a national icon whose fortunes are intertwined with Brazil’s. Though private investors control nearly 60 percent of Petrobras stock, the Brazilian government has 56 percent of the voting rights. 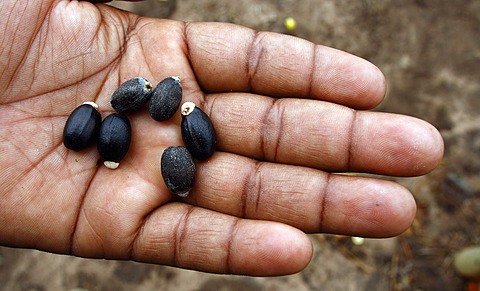 Seven of its nine directors are from the government. The board’s chairwoman is Dilma Rousseff, a Lula confidant who is expected to be the ruling party’s candidate in next year’s presidential elections. The Lula government is now seeking passage of a law to give Petrobras control over future projects in the newly discovered fields. Foreign companies have explored for oil in Brazil since 1997, but the proposed regulations would limit their ability to make major decisions involving the new oil pools. Gabrielli said it is logical to make Petrobras the operator, with a mandatory 30 percent stake in each project, because Brazil took the risks to drill for oil in the pre-salt. But he noted that companies such as Exxon Mobil, Britain’s BG Group, Royal Dutch Shell and Spain’s Repsol are investing billions to develop their share of the new projects. Luca, the president of the association representing foreign companies, said Petrobras may overextend itself. “We could be limiting the development,” he said. The entire pre-salt region is laced with “elephant fields,” pools holding at least a billion barrels of oil each. Tupi, which in 2006 was the first field found, holds up to 8 billion barrels. Despite the optimism that Petrobras officials display for visitors, they reel off the challenges: shifting salt, 6,500 feet of it, and working fields so far from the coast that they cannot be reached by helicopter. Much of the new infrastructure needed to develop the pre-salt is being built here at Angra, and at other shipyards dotting the coast. On a recent day, decked out in a bright-orange jumpsuit and helmet, Roberto Moro, a mechanical engineer, strolled amid giant pontoons weighing 6,000 tons each. He explained how they would be latched together, then topped with a 14,000-ton deck the size of a football field. The final product, a platform called P-56, will cost $1 billion, he said. And Petrobras will need a fleet of them. “Each platform we are building here, like P-56, represents 10 percent of national oil production,” Moro, 46, explained. That is the equivalent of 180,000 barrels.